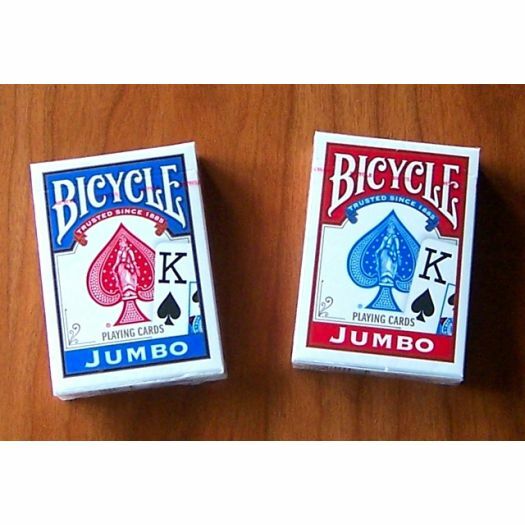 Bicycle® Playing Card decks with jumbo print. The numbers and suits are printed twice the size of standard cards. Made in USA. Manufactured by the U.S. Playing Card Company. 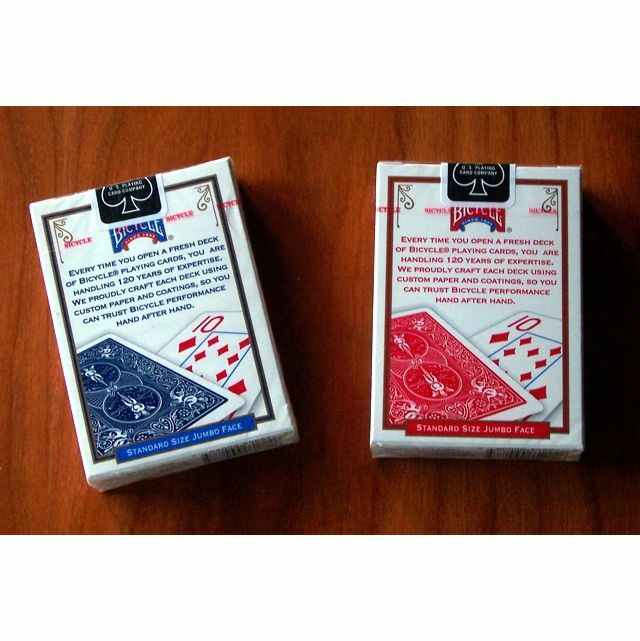 The decks are available with blue or red backs. We will evenly distribute the colors of the decks according to your order. The price listed is per deck. For Fast Track, you will need one deck per player. So a full 6-player game will require 6 decks. For an 8-player Pegs and Jokers game, you will need 4 decks. For a 6-player Pegs and Jokers game, you will need 3 decks. Good quality and like the larger size! We were surprised that is came complete with enough cards to get playing. Had I known we would not have purchased the extra sets of card. Either way it was all good and extra cards always come in handy. Thanks again.